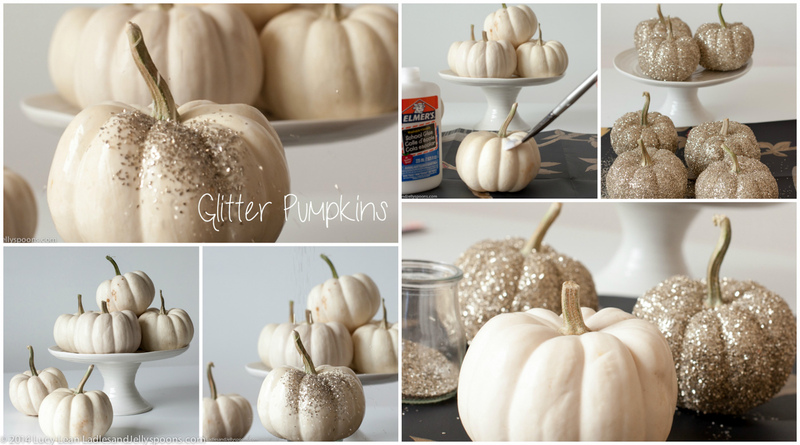 Here’s an easy showstopping autumnal craft, Glitter Pumpkins, that I always make to decorate the table in early October for my birthday – it’s fun for Halloween and then carries through to give your Thanksgiving table added sparkle. Cinderella’s pumpkin never looked so beautiful. Keep calm and sparkle on all through the holidays. It’s also a fun activity to do with a group. Perhaps when everyone is home for the holidays and tensions start to run high? A little activity to focus the mind and have a laugh doing together? 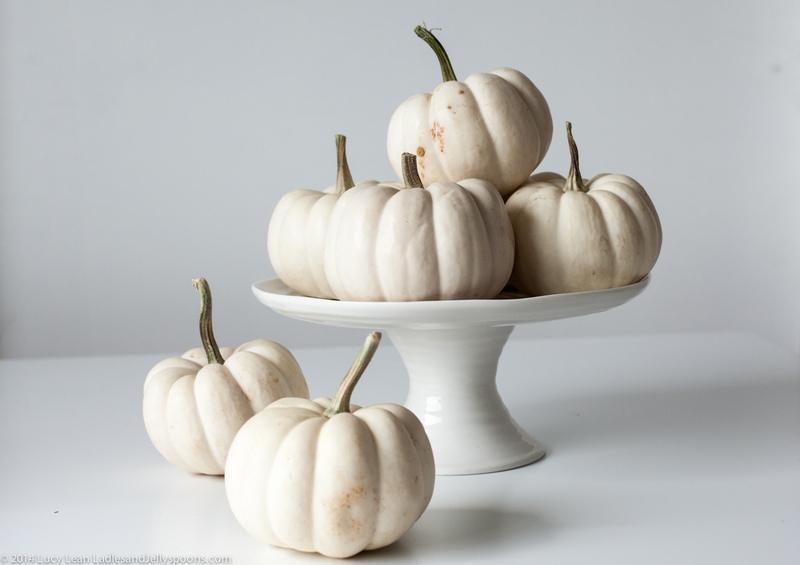 Chose pumpkins with the most interesting twisted stems in various sizes, here I’m using mini white pumpkins but traditional orange work just as well (once they are covered you don’t see the original color). Use white glue rather than spray glue for a better finish and source the more expensive glass glitter in an antique silver – I like to use glass glitter, although it’s not good if you are doing this project with very small children as it is made from crushed glass! The cheaper stuff in the craft store and supermarket just doesn’t give you that same je ne sais quoi! but better to be safe with little fingers. Glitter – I like using glass glitter Stampendous Glass Glitter 1.59 Ounces-Silver especially the less fine sort for more texture and sparkle and a more sophisticated look but use child-friendly glitter in fall colors if doing this with small children, Martha Stewart Crafts Glitter, Desert, 3-Pack is a great choice. 1. 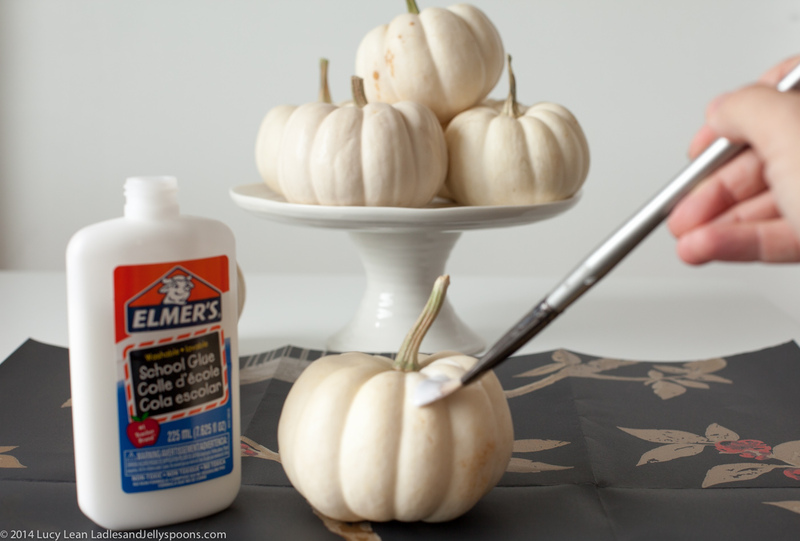 Brush the glue over the pumpkin, using the stalk to hold it, so you can cover the entire surface. 2. 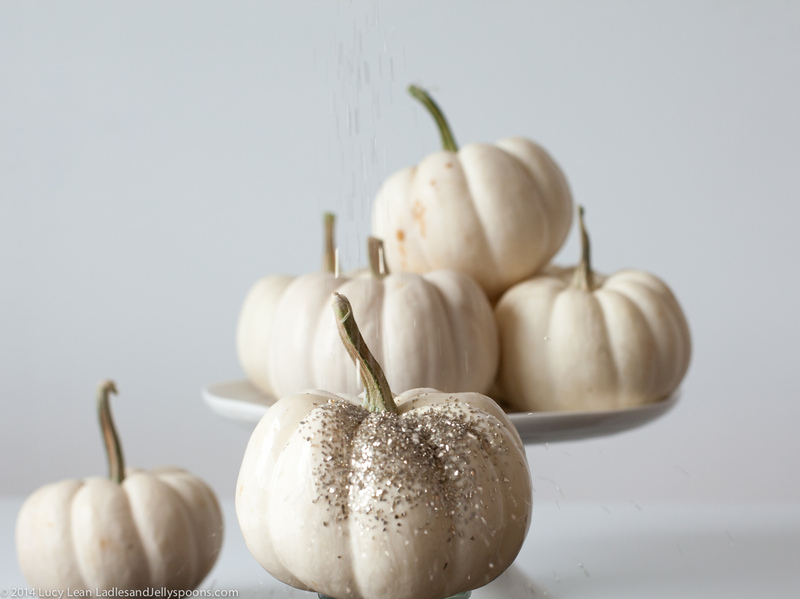 Sprinkle glitter over the entire surface of the pumpkin whilst holding it over the large sheet of paper. 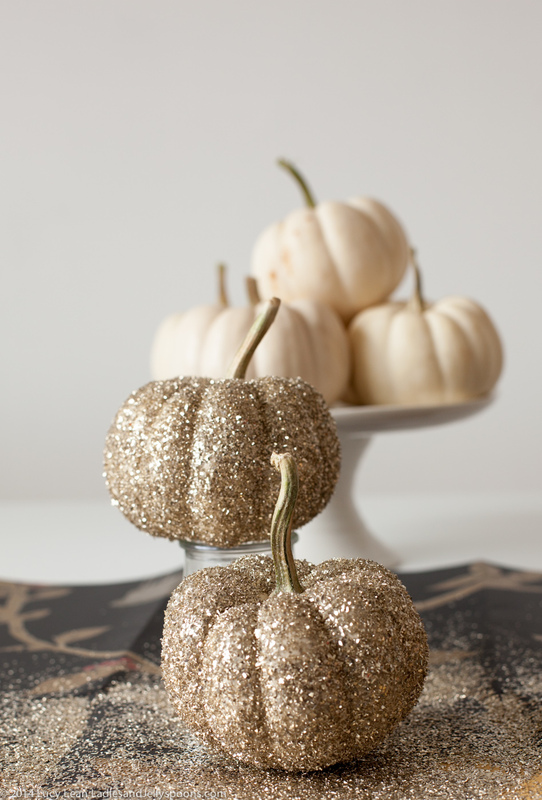 Use the stalk to hold pumpkin upside down so you can cover the bottom with glitter. 3. 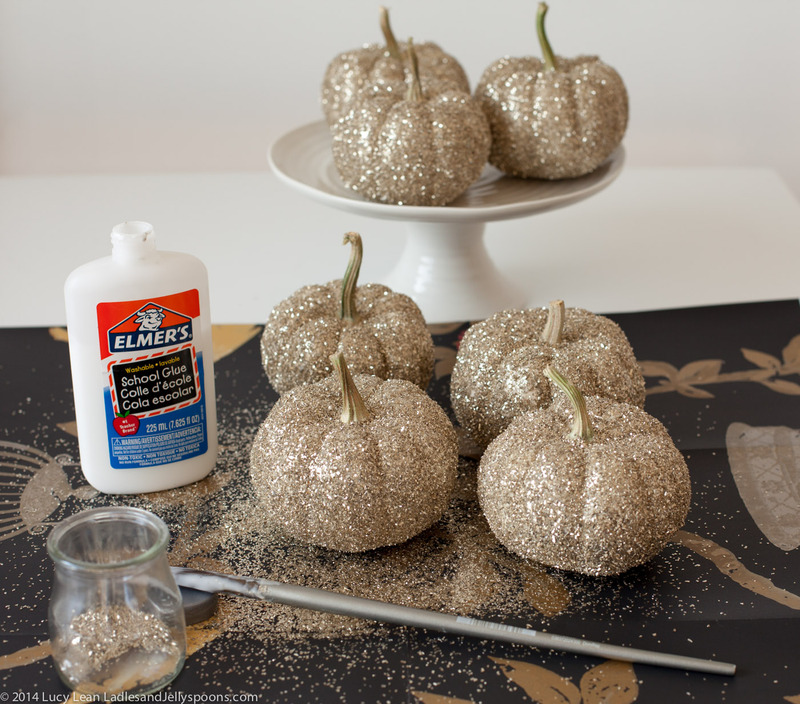 Tap off any excess glitter and place the pumpkin on the excess glitter to dry. Recycle the glitter that scatters onto the paper by folding the paper down the center and tapping the glitter into the gutter pouring back into the pot.